This in-depth, interactive course is taught by Greg Hutchings, founder of Amelior Services. Greg is an expert in scaling Lean and Agile using LeSS and Innovation Games(tm), who has 10 years of experience teaching and coaching large scale agile at many innovative products and services companies. He shares this experience and centers the course on the context and questions of the students who participate actively. Want to learn more about how companies have implemented LeSS? Please visit the LeSS Case Studies page, and read the LeSS Case study by Greg Hutchings on bwin.party, where Greg headed up Product Governance and led an agile transformation using LeSS and Innovation Games. This in-depth, interactive course weaves the use of Innovation Games™ into the practices of LeSS to improve customer collaboration, multi-stakeholder alignment, better team collaboration, large scale retrospectives and a compelling way to facilitate product roadmap co-creation. The course is taught by a Certified LeSS Trainer - Greg Hutchings, founder of Amelior Services. 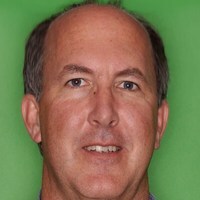 Greg is an expert in scaling Lean and Agile using LeSS; he is the first certified trainer after the creators of LeSS, Craig Larman and Bas Vodde. He is also a certified collaboration instructor for Conteneo and an expert in Innovation Games™, and a CSM, CSPO and CSP with the Scrum Alliance. Greg has 12 years of experience teaching and coaching large scale agile at many innovative products and services companies around the world. Greg began the teaching and coaching phase of his career after many years of leading the development of successful software products in Northern California in small and large teams, having adopted early agile and innovative product management methods since the early 90's. In his training, he shares this experience and centers the course on the context and questions of the students who participate actively. You can read more about Greg at LeSS trainer's profile, his company website, and on LinkedIn. Additionally all participants will be able to receive Innovation Games Certification credits and access to its online platform. All participants will be a Certified LeSS Practitioner and will get an account on less.works, active for 2 years. Here they can find additional information about LeSS, access electronic versions of all 3 of the LeSS books, share course information and stay in contact with the other course participants. The training will take place at a wonderful venue, Bank, and it would be great to see you there!